Mice and other rodents can be a major problem if they set up a nest in a home or building. 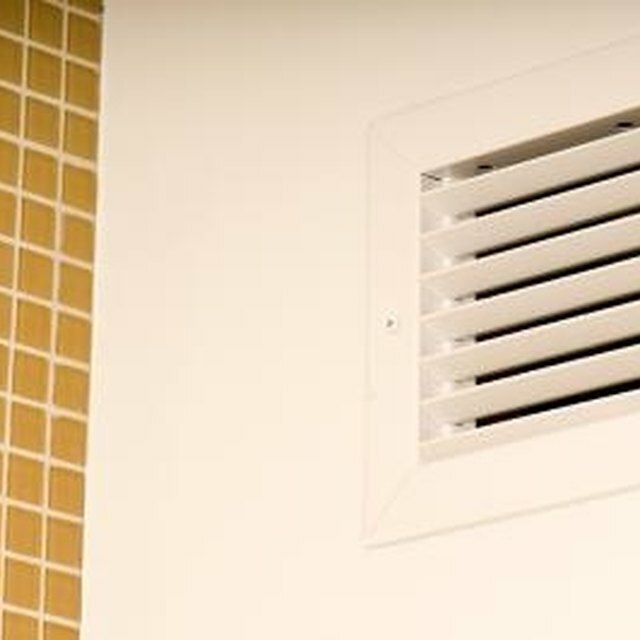 This is especially true if they live in air vents or any other duct work because the natural flow of air can transport their smell around the building. Keeping them out of ducts is difficult because ducts cannot be boarded up. Keeping a mouse out of the ducts involves keeping them out of the structure. Mice and other rodents can be a major problem if they set up a nest in a home or building. This is especially true if they live in air vents or any other duct work because the natural flow of air can transport their smell around the building. Keeping them out of ducts is difficult because ducts cannot be boarded up. The key here is prevention and then extermination of the mice already living in the ducts. Cover all open areas of the ducts with a fine wire mesh. This needs to be less than 1/2 inch meshing to stop mice. Cut the mesh to size using shears. This can be attached to the ducts with duct tape, which will need to be replaced periodically or with rivets for a permanent solution. Set up lamps in the duct work. This can cost more on the electricity bill, but mice will not live where bright lights are present. This forces them to other areas of the house, but those areas might be easier to bait. Fill in any gaps around the foundation of the building with concrete filler and smooth over with a putty knife. This method might be unscientific, but the fewer the entrances, the better the chance the mice will choose to go elsewhere. Place mouse traps and poison in the ducts. The traps can be baited with cheese, peanut butter or apple slices. This might be effective, but will require regular cleaning of the ducts to get rid of dead mice. Remember to change bait regularly as well because mice will not eat rotting food. Put mouse traps around the building. Although the mice might be living in the duct work they will leave to find food. As with the other traps check and replace bait regularly. A well-established mouse colony is not going to be eliminated in this way and will require a pest control expert. How Do I Install Swanstone Showers?